The new variants include a top-of-the-line Suunto 9 model, with a robust titanium bezel and chiseled, triangular strap pattern, which speaks to the brand’s “designed for adventure” heritage. 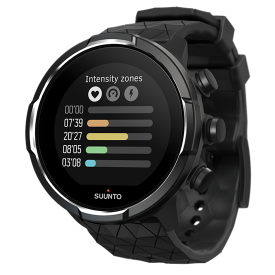 Moreover, the Suunto 9 line-up receives three streamlined variants in Black, White and Lime that pack all that battery performance into models without a barometer and are more at home on flatter terrain. Suunto’s headquarters and manufacturing plant is in Vantaa, Finland. Employing more than 400 people worldwide, Suunto products are sold in over 100 countries. The company is a subsidiary of Amer Sports Corporation along with sister brands Salomon, Wilson, Atomic, Arc’teryx, Peak Performance, Mavic and Precor.